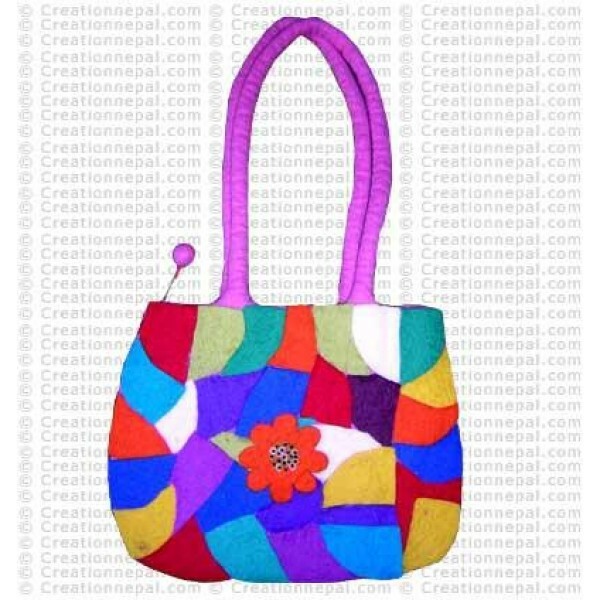 Hand made felt handbag. It has colorful patch work design and a small beautiful flower on the center. It's strap is 22 inches long and has cotton lining with zipper closure.